A suburban Boca Raton mother is asking for help after she said a group of men tried to break into her home while her three children were inside. 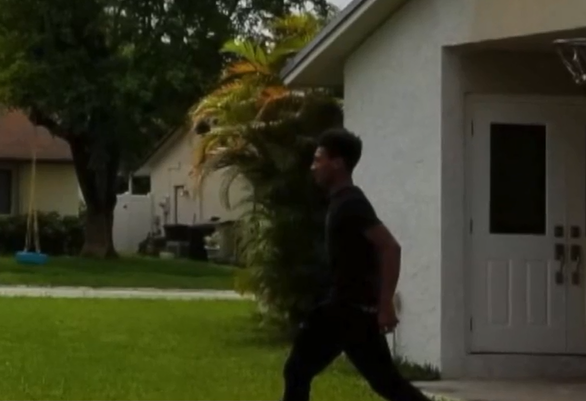 The Palm Beach County Sheriff's Office says deputies are looking for the suspects behind the attempted burglary. Liz Fisher said she was at work and watching her home on a security app through her phone and she called a neighbor when someone started knocking on the door. “All of a sudden I heard glass breaking and I said ‘D I heard glass breaking,’ and she said ‘Oh, hey can I help you?’ and the phone went dead,” said Fisher. The neighbor was able to quickly snap pictures of the suspects running from Fisher’s house as they jumped into a white Lexus; she said she saw five men run from the house. PBSO said the car was stolen from Coconut Creek. The men broke the back patio door but didn’t hurt anyone or take anything. Fisher said she plans to invest in another security system.